"An apocalypse is literally the revelation of the Secret History of the world as becomes possible under the terrible clarity of the Last Days. It is the alternate, despised history of the subaltern classes, the defeated peoples, the extinct cultures. I am claiming, in other words, that Wovoka offers us a neo-catastrophist epistemology for reinterpreting Western history from the standpoint of certain terminal features of the approaching millennial landscape. He invites us to reopen that history from the vantage point of an already visible future when sprawl, garbage, addiction, violence, and simulation will have overwhelmed every vital life-space west of the Rockies. This is Turnerian history, if you will, stripped down to its ultimate paranoia: the West become Los Angeles. 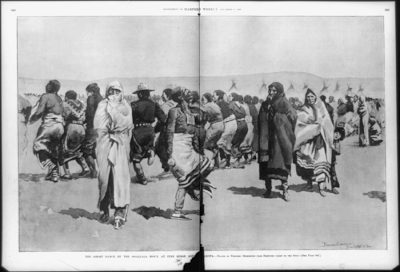 For those who retain the Ghost Dance tradition, this end point is also paradoxically the end point of renewal and restoration. It is through this black hole that the West will disappear into the singularity of catastrophe, only to emerge, on the other side, with streams full of salmon and plains black with bison." Mike Davis, 'White People Are Only a Bad Dream...' (1999), in Dead Cities, New York: The New Press, 2003, 31. 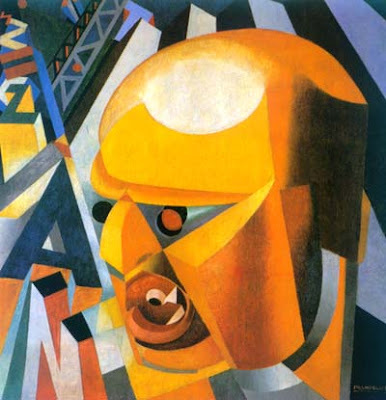 Italian futurism’s political thrust (kinetic virility or macho ballistics being one of the movement’s staple tropes) is likely to elicit, from those who like their avant-gardes pasteurized, some variant of disavowal: one might evoke a cooptation by fascism born of the aesthete’s naivety toward the realities of politics, or stress the paroxystic marginality of artists to the vicissitudes of social conflict, or push the role of futurism as a precursor to artistic vanguards whose ideology sits diametric to that of Mussolini, namely constructivism. 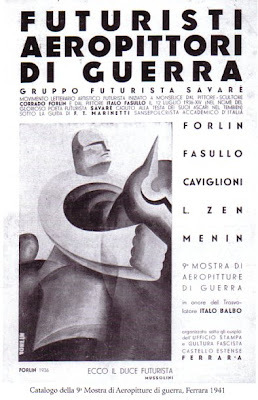 Striking, though vaguely discomfiting evidence of the latter can be found, for instance, by comparing Carlo Carrà Futurist Synthesis of War, as published in 1914 and then (in the Italian tricolore) in 1918, with El Lissitsky’s deservedly more famous 1919 agit-prop poster Beat the Whites with the Red Wedge. Readers of Benjamin’s endlessly quoted essay on technological reproducibility will doubtless be familiar with the place of the futurist poetry of aerial bombardment in the analysis of the aestheticization of politics as the mark of fascism, and its bamboozling of the masses, drawn into thuggish jouissance at the spectacle of their own appearance and of the total state’s reactionary violence. But what of the actual politics under-girding this aestheticization? A first glimpse can be caught in the lettering of the futurist’s red wedge plunging into the green front of Italy’s World War I nemeses. Beside the chromatic confusion (the diagram inverts the colours of the Italian flag, but also makes it seem as if Italy is attacking… itself), the verbosity of the futurist’s variant (logorrhoea already serving as a demarcation from the percussive mots d’ordre of Lissitzky) is an index already. In the piercing camp of freedom, futurism and Italy, we find the other 7 ‘poet-peoples’, against the forces of barbarism and passatismo (an obsessive presence in the futurist lexicon, which my dictionary amusingly renders as ‘fogydom’): Austria, Germany and Turkey. Serbian temerity, Belgian industriousness, Montenegrin independence, French explosiveness and elegance, Russian impregnability and power, and Japanese resoluteness are among the qualities which join Italy’s amorphous but supreme trait (‘all of the forces, all of the weaknesses of GENIUS’ – strange echoes of the tone of Berlusconi’s bedroom perorations). The enemies are instead united by a litany of pejoratives (from methodical plagiarism to professorial pedantry, with Turkey = 0). This bombastic rhetoric of ethnic characteristics indicates the ideological field whence futurism emerged: modernist nationalism. 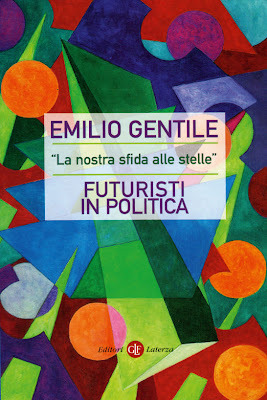 A recent study published in Italy by Emilio Gentile – known in the Anglophone world as a prominent recent historian of fascism and proponent of the (dubious) totalitarianism-as-political-religion thesis – which tries to set the record straight on the season of ‘political futurism’ (1914-1920) starts precisely from this theme, which Gentile (not to be confused with the Italian fascist and idealist philosopher shot by the partisans) traces in strands of pre-futurist political and social thought. “La nostra sfida alle stele”. 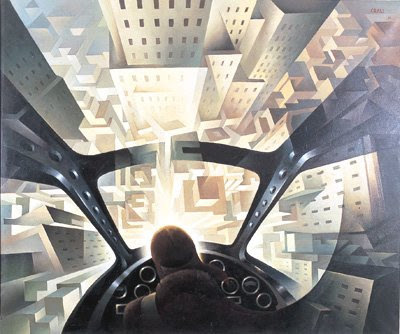 Futuristi in politica (Our Challenge to the Stars: Futurists in Politics) is a rich resource for moving beyond the commonplaces about futurism and fascist politics. Futurism drew from the same ideological environment of nationalists like Enrico Corradini and Mario Morasso the idea that Italy needed to slough off the past and be reborn as a fully modern power, one which could harness affective and technological energies to throw Italy, still smarting from its colonial rout at Adua, from the periphery back into the seething maelstrom of imperial conquest, industrial growth and cultural advancement. Modernist nationalism was explicitly vitalist in kind. Corradini would write of modernity as determined by ‘maximum intensity, maximum velocity and therefore the maximum effort for the maximum acts of creation and destruction’. Liberalism and its ‘democratic constrictions’ had to be left behind. In order to do this, Italy needed to overcome its sluggish reliance on Catholic morality, the comforting heritage of Roman greatness and its reputation as a land of ease, lax hedonism and tourism. Morasso, author of a book by the eloquent title of L'imperialismo artistico, called for the incineration of those Baedeker guides that ‘make us waste an entire day in front of four shards of filthy Etruscan crockery’, and for embracing the spirit of ‘infinite conquests’ (by a strange twist of semiotics, when the Germans bombed Bath in 1942, they dubbed it a 'Baedeker bombing raid'...). ‘Italianism’ was to be combined with an aggressive vitalism and the all-round acceleration of cultural change, to make up for Italy’s peripherality and retardation. Marinetti et al. only intensified this hatred for everything that stank of stagnant culture, memory and heritage. They called for ‘hygienic forgetting’. In their text ‘What is Futurism: Elementary Notions’, they proclaim that to be a futurist in art one must: ‘hate ruins, museums, cemeteries, libraries, culturalism, professorialism, academicism, the imitation of the past, purism, longueurs and meticulousness’. A futurist can’t stand the opera, but he (though there were futurist women, a sub-Nietzschean misogyny is pretty much invariant across the texts, though the futurist also called for universal suffrage before many more ‘liberal’ types…) loves ‘concert-cafés where the spectators smoke, laugh and collaborate with the actors without grave solemnity and monotony’. We already have here one of the points on which, until their melancholy abandonment of the political arena and consequent defanged continuation under Mussolini, political futurists could never truly reconcile themselves with the neo-classical monumentality ('monumentomania'), cult of Rome and idolatry of tradition that came to constitute much of the ambivalent aesthetics of fascism in power. 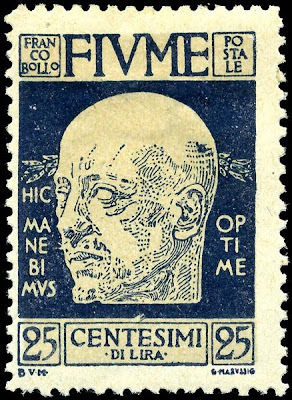 For Marinetti instead, ‘the annoying memory of Roman greatness should be erased by an Italian greatness a hundred times larger in magnitude’, in the image of a ‘beautiful dreadnought’. As one slogan went: ‘Let us abolish history’. Another called for ‘death to the dead’. The legacy of Rome was to be paved over, with American asphalt. As Boccioni would write: ‘our extremely violent affirmations of faith in modernity’ express ‘the need to become brutal, rapid, precise; the need to Americanize ourselves, entering the overpowering vortex of modernity’. This Americanization also coloured the futurist’s somewhat Stirnerian libertarianism, their scorn for established authorities, the Church, standing armies, the police, and any arbiter of moral probity. This tendency too came up against the fascist’s programme which, in making pacts with capitalists and the clergy, both defended (as ever, in a quite contradictory manner) the authority of tradition and threw the squadristi (and, once it conquered power, the police) against workers and unions. Where the futurists certainly did both presage and prepare fascism, aside from their penchant for spectacular and thuggish ‘actions’ (namely in support of Italy’s entrance into WWI), was in the type of anti-humanist machismo with which they cheerlead for Italian imperialism. Imperialist modernism could indeed serve as another appellation for the amalgam attempted by futurism. In 1913, after the conquest of Lybia (only the beginning of a brutal history of campaigns, masterfully analysed by the Italian historian Angelo del Boca, in the light of which futurism well deserves the Zizekian title of ‘the poetry of ethnic cleansing'), Marinetti would affirm, in Florence’s Teatro Verdi: ‘The word Italy must dominate the word freedom'. 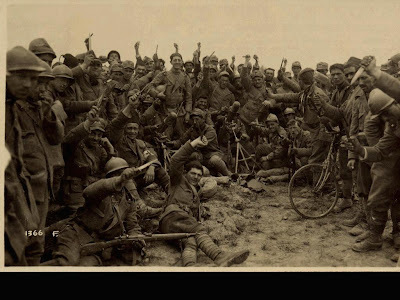 It was with spirit that the futurists also threw themselves, once Italy joined the Allied Powers, into WWI, making alliance there with the peculiar martial and political phenomenon of arditismo, and giving birth to arditofuturismo (arditi were famously reckless shock-troops, said to go over the breach armed with grenades and daggers alone: a number of the arditi ended up joining Mussolini’s fasci di combattimento, but others, in a phenomenon dubbed arditismo rosso, joined with communists and socialists, bravely fighting the fascists in Parma in 1922 for example, as narrated in a fine book by the 'autonomist' experimental novelist Nanni Balestrini). The airplane in flames has fallen among the wire mesh in our line of resistance. The smoke chokes me. The wood the flesh the bones the fat and the aluminium burn. A leg without a foot still bandaged is already charred and half in ashes. The arm that grips metal shows a roasted elbow the colour of varnished mahogany. The elbow makes me think of the bone of a lamb leg well cooked on the spit. Among the contorted metal the tubes turned into tie-knots and the rusted wire mesh the gutted fuel tank and on top a fully uncovered brain boiling and frying. It makes me think of a delicate little machine all little nickel and silver tubes too oiled and greased full of steam. I take an aluminium tube and we descend. 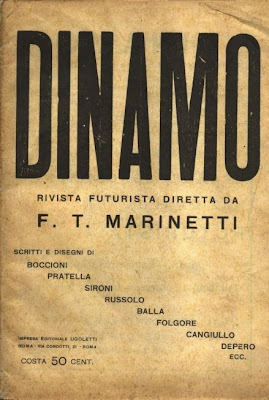 In the social turbulence that followed the end of the war, the futurists tried, with the founding of the Italian Futurist Party, to enter politics directly. Though like all the other nationalists they abhorred the emasculated internationalism and pacifist egalitarianism of liberals and socialists, they sought, despite their absence of real party structure – being instead a loose federation of groups and personalities, in keeping with their antagonistic libertarianism – to operate as separate from other nationalists, maintaining their own ideological pole. 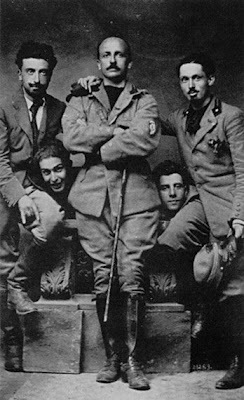 This was true of their intervention in the poet D’Annunzio’s short-lived coup and founding of a republic in Fiume (itself a bizarre nationalist instance of the politicisation of aesthetics; the picture below shows Marinetti and other futurists as legionnaires volunteers for D'Annunzio), and even when, after various mutual approaches, they threw their lot in with Mussolini, it was to be a short lived experience, for reasons already mentioned. 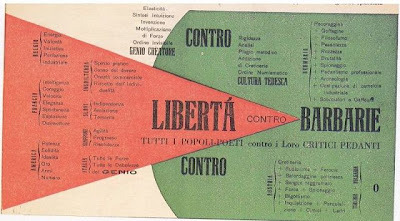 Despite their nationalism and imperialism, the futurists could not subject their vision of a conflictual, kinetic and modernised Italy to the authoritarianism, social conservatism and ‘statolatry’ of Mussolini, nor could they stomach the pacts with the Vatican and a culturally defunct bourgeoisie. Their ‘hyper-intransigent and integral anti-clericalism’ viewed any compromise with Catholicism as repugnant. Their individualism – what might be termed their violent dandyism – could only view fascist organicism with disgust. 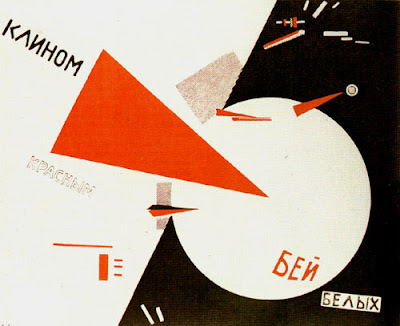 When the social chaos of 1919 came around, many futurists, despite their anti-egalitarianism, nevertheless tacked left, imagining, in a Sorelian vein, an alliance of sorts between futurist petty bourgeois intellectuals and insurgent workers, in some kind of nationalist syndicalism. As the futurist review La Testa di Ferro asserted: ‘We are certain that, if the intellectual proletariat will understand the new times and will be able to link up with the manual proletariat in its struggle for emancipation, not only will it remain, in a new regime, at the place that it occupies, but it will be infinitely more appreciated and it will not find itself in the dangerous and humiliating position of serving as a buffer between capitalism and labour’. Having already greeted the Russian Revolution, for its violent modernity if not for its levelling intentions, some futurists now called for the abolition of capitalism, distancing themselves from Marinetti’s call in Democrazia futurista for a modernising ‘Italianness’ that would leave the political economy untouched (in this same book, Marinetti anticipated one of the guiding motifs of Berlusconismo, when he wrote of ‘the administration of a great business [azienda] which is called fatherland belonging to a great association called the nation’ – l’azienda Italia is one of il Cavaliere’s favourite expressions, and he is also, like Marinetti, very fond of reference to Italian ‘elasticity’ [duttilità] and genius for ‘improvisation’). 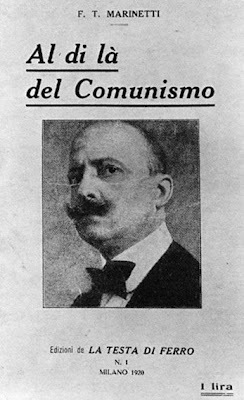 Marinetti himself, in his 1920 book Beyond Communism (pictured at the beginning), having abandoned the fasci di combattimento because of Mussolini’s monarchism and conservatism, turned toward a sui generis kind of libertarian anarchism, against fascism’s transformation of the futurist slogan of an ‘Italian revolution’ into a restoration of the state for the sake of the bourgeoisie. Mario Carli, who comes out of Gentile’s book as the main advocate of political futurism, would underscore ‘what a dose of anarchism there is in the futurist conception of the world, which would like to abolish all the useless and unjust things: dynasties and prisons, the papacy and law courts, parliament and privileges, archaeology and broadsheets’. This is why, in his estimation, the futurists ‘had always chided fascism for its irreducible refractoriness to social and trade-union problems’. Such protestation were dead letter, though, as Carli and his comrades' attempt to gain traction with the left of the fascist movement failed and the collapse of D’Annunzio’s national-modernist experiment in Fiume brought the season of political futurism to an end (though Carli would continue into the thirties with his doomed attempt to promote 'left-wing' fascism). Futurism’s institutional alignment with the fascist state thus emerges from Gentile’s book not as political but as post-political, as the sterile compromise of a movement which shared much of the nastiest dimensions of fascism (imperialist ideology, glorification of violence, warmongering, misogyny) but could not, in its political prime, stomach Mussolini’s compromises with Catholicism and Capital, as well as the fascists’ promotion of an organic state that made a mockery of the aggressive, anarchistic and accelerationist individualism advocated by the futurists. As Gentile notes: ‘The political adventure of futurism came to an end with the return to art.’ As recent retrospectives intimate, futurist art, which once seemed obsolete, keeps itself alive because the moment to realise it was missed. Fortunately, some might add.